An infrastructure to bridge the gap between observational data bases and scientific modelling tools, enabling their joint interconnected operation for the better understanding of related physical phenomena. 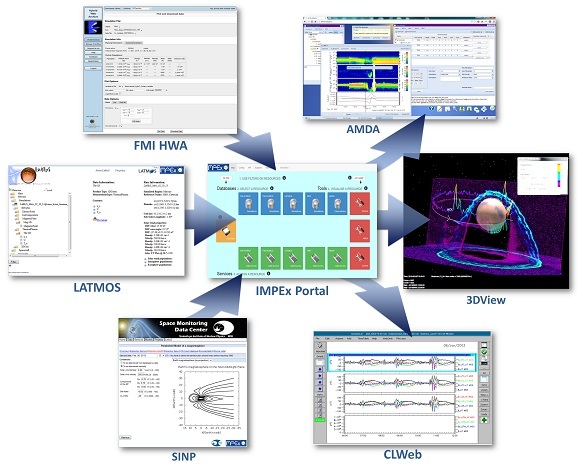 Advanced modelling tools in the field of space and planetary physics as well as observational databases, combined with powerful tools for analysis and visualisation. Click screenshots above to enter respective tool or simulation database. For further information on IMPEx tools and databases please visit the IMPEx tools page, as well as model demonstrators and video tutorials available online.